Mayor Thomas M. Menino recently announced that the City of Boston‘s massive road work plan for this year has kicked off with a successful start during the first few months of construction season. So far, there have been close to 25 miles of road repaved. That’s in comparison to the less than 10 miles completed during this same time last year. In addition to the road improvements, Public Works officials have also been able to repair more than 400 pedestrian ramps. Throughout the rest of the summer, city officials are looking to repave close to 50 miles of Boston roadway and fix close to 1,500 pedestrian ramps. This is a whole lot more than last year. “A well-maintained city leads to happy, healthy residents, and I am proud the City of Boston has created a legacy of continuous service to our constituents,” said Mayor Menino. Our Boston workers’ compensation lawyers understand that these kinds of construction projects can serve up some serious headaches for both drivers and workers. Roadway work zones are hazardous both for motorists who drive through the complex array of signs, barrels, and lane changes and for workers who build, repair, and maintain our Nation’s streets, bridges, and highways. According to the Bureau of Labor Statistics, transportation accidents accounted for more than 75 percent of the fatal workplace incidents in 2011. In 70 percent of these transportation accidents, a pedestrian worker was hit by a passing vehicle. According to The National Word Zone Safety Information Clearinghouse, there were close to 5 fatal motor-vehicle accidents that happened in the state of Massachusetts in 2010. 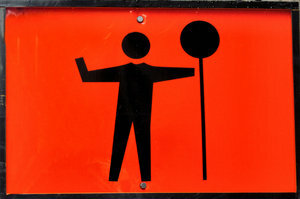 A work zone is typically marked by signs, channelizing devices, barriers, pavement markings, and/or work vehicles. Work zones can appear anywhere, from major freeways to two-lane country roads. Regardless of the setting, when construction or repair result in the creation of a work zone, special advance markings are necessary to warn motorists of special conditions. In these areas, it is important to be alert and prepared to slow down or stop in a work zone. -Put away all the in-car distractions. -Be ready for vehicles and workers. -Obey the posted speed limit. Speeding is one of the major causes of work zone crashes. Remember, traffic fines double in work zones. -Merge into the proper lane as soon as possible. -Drive with your headlights on. -Always follow the instructions of the flaggers. -Do not drive across the median. This creates a very dangerous situation for you, construction workers and other motorists — not to mention the steep fine. -Resume normal speed until after you emerge completely out of the work zone area. -Pay attention to the signs. The warning signs are there to help you and other drivers move safely through the work zone. If you are injured on the job in Massachusetts, call the Law Offices of Jeffrey S. Glassman for a free and confidential consultation to discuss your workers’ compensation claim– 1-888-367-2900.